With the exception of Alaska, termites can be found in all 50 US states. But homes and buildings located in the south are particularly vulnerable to termite attacks, as the south is home to the greatest number of termite pest species. 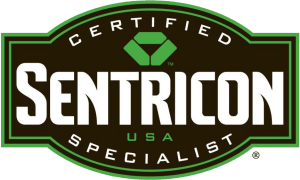 Due to the relatively significant threat that termites pose to homes and buildings in the south, several state laws and building codes have been enacted in the region that require building contractors to install anti-termite features to homes and buildings during construction. For example, chemical or physical termite barriers surrounding structures must be installed during construction, and structures must be built in such as way as to minimize moisture retention. Perhaps some building codes of this sort were ignored during the 2002 construction of The Brazos River Authority headquarters in Waco, Texas, as moisture buildup within the building has been attracting termites. The cost of building the 40,000 square foot structure amounted to 5.5 million dollars 17 years ago. Since then, water leaks, ventilation issues and moisture retention in the building’s stone exterior has contributed to mold buildup and termite infestations. It is well known that subterranean termite colonies require massive amounts of water in order to survive, which makes structures with leaky pipes and poor ventilation an ideal habitat for the wood-devouring pests. It is also unfortunate that termites are attracted to the mold that forms as a result of moisture buildup. According to several studies, termites find moldy wood to be more appetizing than non-moldy wood. Termite consumption has been shown to increase by 120 percent once mold forms on wood, and aggregation behavior increases by 81 percent. This is not surprising considering that the presence of moldy wood increases termite trail-following behavior by a whopping 200 percent. In fact, feeding on moldy wood even increases the survivability of termites by 136 percent. The building’s exterior is made of Austin stone, which may be aesthetically pleasing, but the porous texture of the stone has allowed for a significant degree of moisture buildup. As a result, moisture has become trapped behind the stone and has saturated the vinyl wallpaper inside, which attracted termites. The termites ate away at the paper facing the gypsum sheathing, thereby decreasing its strength. The ventilation problems within the building only contributed to this moisture buildup. City leaders are now debating on whether to demolish the building or devote additional funds to its restoration. Government officials in the city are considering a lawsuit against the construction firm that built the structure due to their alleged violation of building codes that ultimately led to the termite infestation. 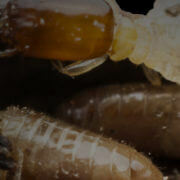 Were you aware that termites sometimes infest buildings that are made largely of non-wood materials?